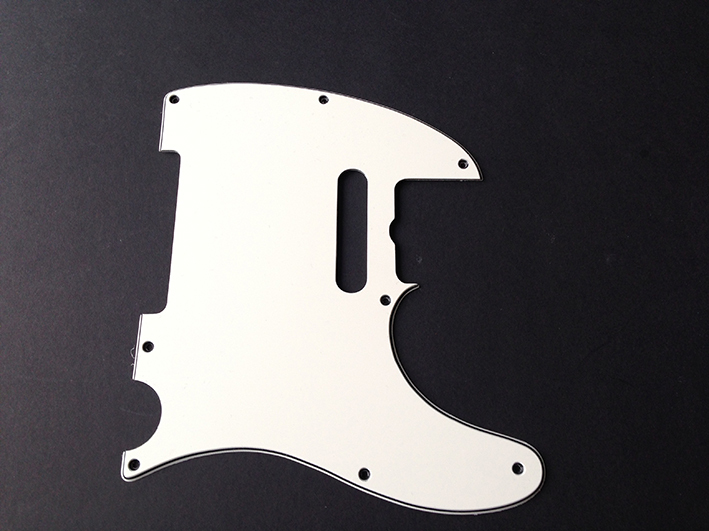 We’re taking time out to have a look at the pickguard which will only be fitted once the neck and body are joined. 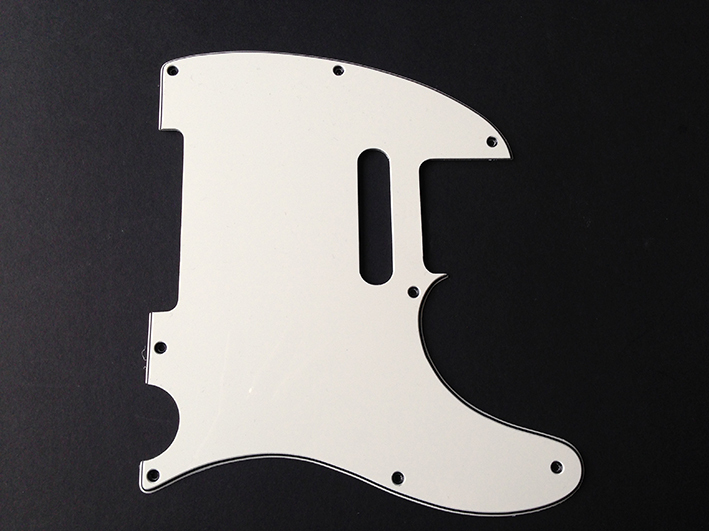 There are a couple of details to be considered where the pickguard is concerned and we are going to use a vintage white pickguard (pictured below) to which we will make a small modification. If you look closely at the second pic (of Francis in action) you will see that there is a small notch cut out of the pickguard at the heel of the neck to allow for truss rod adjustment. 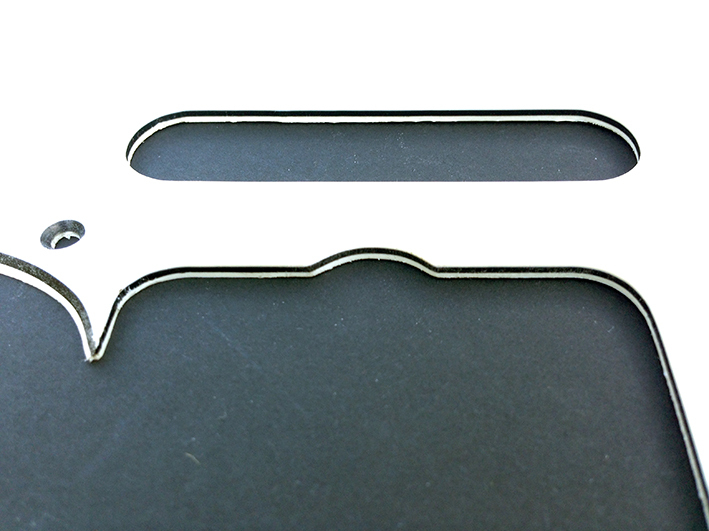 In order for the guard to look authentic we will need to incorporate this tiny detail. 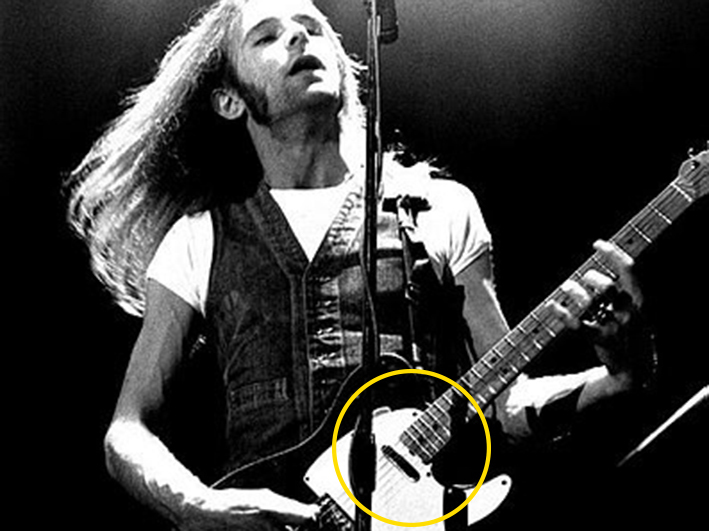 The notch isn’t always visible in pics of Francis’ guitar from the 1970s–80s, sometimes this is due (depending on camera angle) to it being obscured from view behind the heel of the neck and sometimes the notch isn’t even there! I suspect that the latter is due to the fact that various pickguards have come and gone over the years as they are easy to swap over (especially with body-mounted pickups) and access to the truss rod is not really a daily requirement for any guitarist. So, after some consideration on whether to include the notch or not, I’ve decided to go with with it, as I think it’s a nice little detail. So we’re going with a 3-ply (white/black/white) 8-hole pattern vintage white guard without neck pickup screw holes and the truss rod adjustment notch. The addition of the notch is purely cosmetic, as our neck has the truss rod adjustment at the headstock and pickguards with the truss rod notch cut out are not widely available, so… we will have to modify the one we have. As you can see from the two pics below, we have carefully cut out the correct style notch prior to relic’ing and fitting. Once the neck is complete and has been joined to the body we will be able to fit the guard. It’s worth noting here that the final positions of all body hardware are determined by their proximity to the pickguard, so it’s important to get the pickguard screwed down as soon as the body and neck are joined. Take a look at this video of Quo in 1977 performing Rockin’ All Over The World on German TV. The truss rod adjustment notch can be seen clearly from about 1.10 for a few seconds. This is enough of a view for you to pause and take a good look. Here’s the clip.